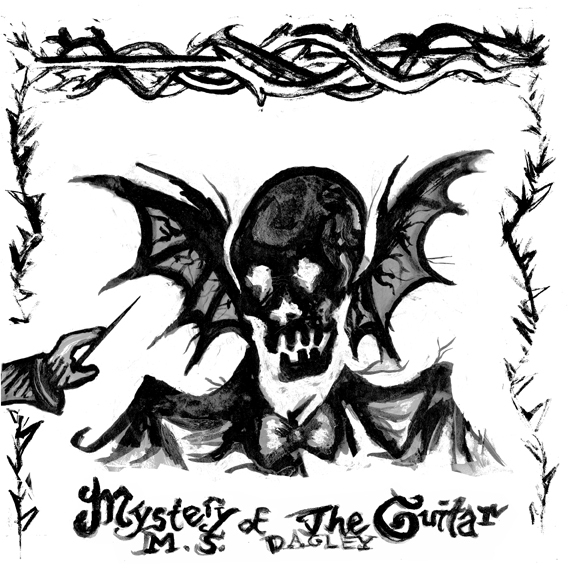 Abaton Book Company is proud to announce the release of Mystery of the Guitar by M.S. Dagley. Born in Washington, D.C. and raised in its surrounds, Dagley was classically trained as a guitarist from age eight to thirteen by David Arnold, a pupil of Sophocles Papas and a master class student of André Segovia. He then enjoyed the blues tutelage of local luminaries John Jackson, Elizabeth Cotton, Archie Edwards and Flora Molton during his adolescent years. 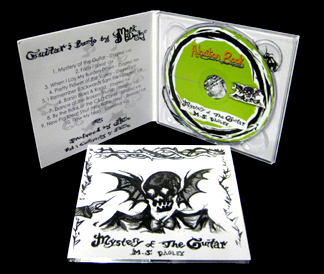 Mystery of the Guitar distills the essence of these lessons into an open ended galaxy of musical proposals, from 17th century courtly dance compositions to improvised extrapolations, seemingly critical of syncopation itself. Dagley was a founding member of the late 70s Boston art punk band The Girls and the early 80s New York punk blues band The Hi Sheriffs of Blue, both of which featured the renowned painter George Condo. He has gone on to engineer the debut CDs of singer/songwriters Marianne Nowottny, Julia Vorontsova, Corbi Wright and the teen girl punk duo Shell. Copyright © 1997-2011 Abaton Book Company. All rights reserved.